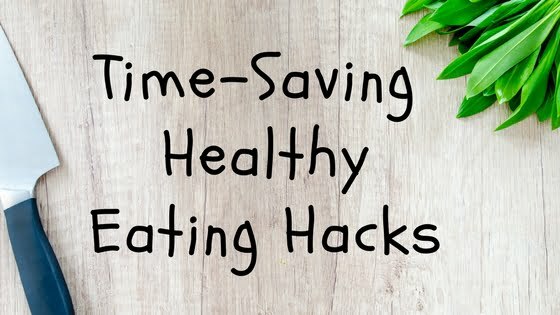 If you think healthy eating is too time consuming or you feel like you’re always cooking & washing up, then you need to try my time-saving healthy eating hacks! I’ve been using these over the years and they honestly have allowed me to keep eating healthy! Life is busy and the last thing I want to be spending hours doing every day is food prepping, cooking and cleaning up! Try these techniques and see how much time you save so you can do what you really want to be doing with your day! 1. Cook food once, eat it twice – This would have to be my number one time-saving tip! Not only does it save on time on the cooking, but think about the washing up! It means one chopping board, 1 knife, one pan etc, not 2 of everything! Prep and cook double, triple or even quadruple amounts for lunches and dinners. I love to do a big cook on Sunday night that will make enough for both Sunday and Monday night’s dinner, as well as Monday & Tuesday’s lunch! 2. Keep it simple – Healthy doesn’t mean hornet with a million and one ingredients. A humble piece of fruit that requires absolutely not prep or cooking is extremely healthy! And sometimes a squeeze of lemon or a splash of balsamic on a salad or veggies needs to jazz it up. Try my 7 simple salad dressings here. 3. Get roasting – while the roasting process itself may take an hour or so, you can do things while the food is roasting & save time cooking large amounts all at once. I love to cook a a few big trays of roast veggies two times a week and then add them to my salads, Nourish bowls and just snacks on them throughout the day! 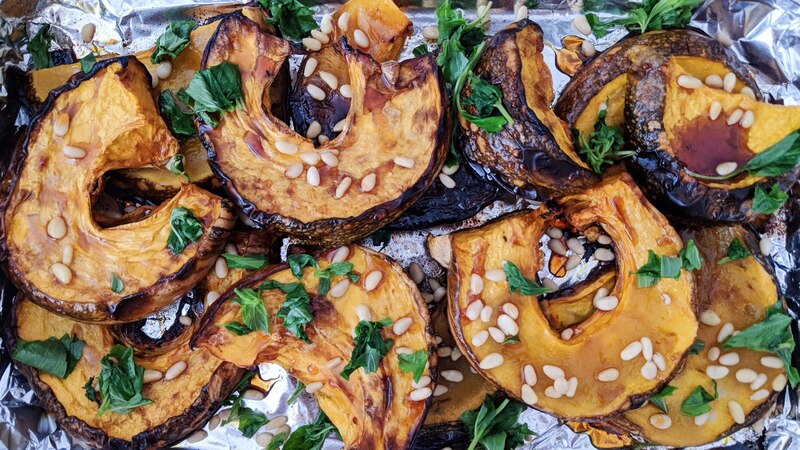 My favourite veggies to roast are pumpkin, zucchini, sweet potato, onion & beetroot. Try my Perfect Baked Pumpkin recipe here. 4. Use grains – grains like quinoa, brown rice etc are very healthy and full of fibre for good gut function. They are a very simple way to bulk up meals and can be cooked in advance and stored in small containers to save you time. 5. Use tinned beans & canned fish – tinned beans & fish are a quick and healthy protein source you can add to you salads and nourish bowl, or even enjoy as a snack. With no cooking required, you can just open the tin and add to your meal. 6. Try frozen veggies – with no prep needed, frozen veggies are an extremely quick way to meet your veggie requirement. Just steam, stir fry or even microwave. And if your prefer fresh veggies, save yourself a bunch of time by washing & chopping your veggies like beans, pumpkin sweet potato etc and keeping in containers in the fridge. Hello can you please repost the link to the guide on building lean muscle with a plant based diet. Can you please add the link for th salad dressings mentioned in point two?